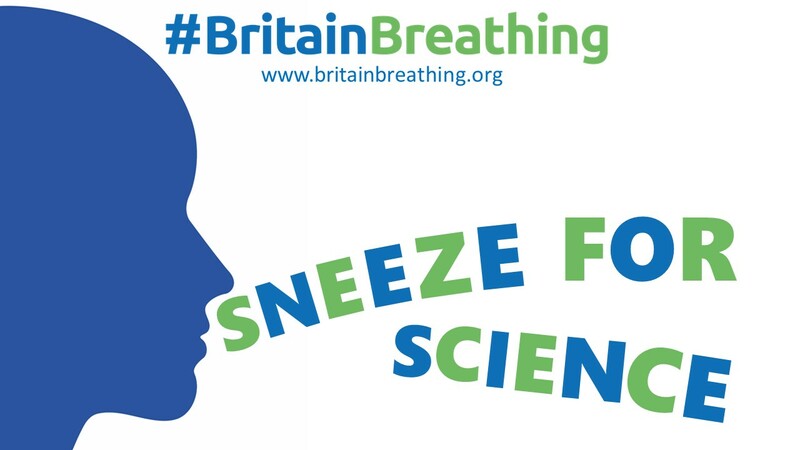 We’re delighted to announce the launch of our new #BritainBreathing Android and iOS apps to allow people in the UK to track their seasonal allergies, such as hay fever or asthma, while contributing to scientific research. Our newly designed app means it’s now easier than ever to record your allergy symptoms, including how your eyes, nose and breathing are affected, in a simple and straightforward way. The app has a personal tracking facility that allows you to record your allergy symptoms over time so you can see on which days your symptoms are better or worse. This information, along with details on time and approximate location, is also securely and anonymously shared with our research team to build a large open data set to let us study when and why allergic symptoms are occurring. You can download the free iOS app from the Apple store (or search for BritainBreathing). You can download the free Android app from the Google Play store (or search for BritainBreathing). If you took part last year, we ask that you download and use the new version of our app. Data recorded in older versions will not be sent to the research team. This is the second year of the #BritainBreathing project and we’re incredibly grateful to all of you who took part last year. You can find more information on what we discovered from last year’s data and what we want to look at this year in our blog post. You can read our full media announcement here.